As we reported earlier on our Puerto Rico Is The Place facebook page, President Obama was in Puerto Rico today, the first President to make an official visit to the Caribbean island since President John F. Kennedy in 1961. The people of Puerto Rico welcomed Obama in this historic day. Thousands cheered, as Obama's motorcade passed by, and posters bearing photos of Obama and Kennedy were displayed along the route. Singer Marc Anthony, who was part of the welcoming party, was also greeted by Obama. Fifty years, is a long time for a President not to visit the island, a territory of the United States, and Puerto Ricans were very exited to see President Obama, and some of them took the day off from work for the occasion. In remarks at an arrival event at the airport in Isla Verde, Obama talked about the years old debate about the island's status, which has some pushing for statehood, commonwealth or independence. The President reaffirmed his support for a referendum in which island voters would make the decision. People cheered when Obama said: " When the people of Puerto Rico make a clear decision, my administration will stand by you." The President spoke in front of American and Puerto Rican flags. Obama, also talked about his commitment to include Puerto Rico in his administration's initiatives, like the health care bill. The president praised Puerto Rican's cultural achievements and contributions to American society and the military. Obama mentioned, Dallas Mavericks player J.J. Barea, a Puerto Rican athlete and celebrity. 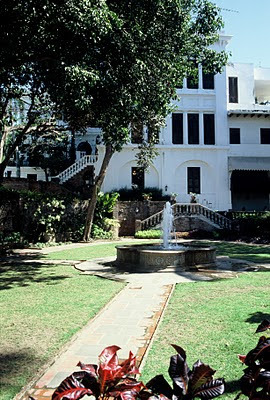 From the airport, Obama went to visit La Fortaleza, the historic Governor's mansion, in Old San Juan, to meet with Governor Luis Fortuno. Governor Luis Fortuno, welcomed and thanked President Obama for the visit. Obama joked, that he just wished he could jump in the inviting ocean. Obama then made an unscheduled stop at Kasalta, a local bakery, a few blocks from the beach, where he ordered a Medianoche sandwich (ham, pork, and swiss with pickles and mustard on a sweet bread). The last stop in Puerto Rico for President Obama, was at the Caribe Hilton Hotel, for a fundraiser with his Puerto Rican supporters. President Obama spent less than five hours on the island, but many are applauding Obama for making the trip.